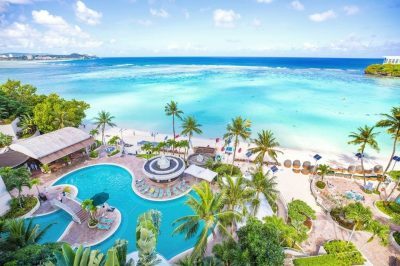 According to the Office of the Attorney General, the Supreme Court of Guam is set to soon issue an official order which would bring the US island territory a bit closer to see the gaming devices legal issues resolved. A statement released by the Attorney General’s Office said that the mandate which is expected to be issued by Guam’s Supreme Court is set to lead to a ruling on two pending motions which were filed in 2016. It would require from the Superior Court to consider the legal issues raised by the Office in relation to the merits of gaming regulations which the Office claims to be invalid. The Superior Court will be expected to issue a ruling which would ultimately decide whether the gaming device regulations submitted by the Department of Revenue and Taxation to Guam’s Legislature without complying with the provisions of the Administrative Adjudication Law are valid or not. This would put at stake the fate of hundreds of so-called “symbolic” machines which were approved by the Department with the support of Calvo administration. For the time being, gaming machines are not legal under the existing Guam law. This is exactly why the local Attorney General Leevin Camacho, such machines should not be granted an operating license by the Government. According to the AG, the symbolic machines are illegal gambling devices, as said by provisions of the existing law, they pay winnings which are refunded to the player upon chance. Previously, a number of ballot initiatives regarding the legalization of casino gambling on the island territory emerged, but local voters turned them down. As explained by AG Camacho, his Office obtained a court order in 2008, under which the Department of Revenue and Taxation was forced to annul the operating licenses given to the machines. However, Guam Music, which owned the machines at the time, took the Department to court to force it to grant the licenses once again. As the Attorney General’s Office revealed, the parties agreed to drop both lawsuits in 2012 – a move which made the AG believe that the machines would remain unlicensed. However, the Department of Revenue and Taxation re-issued their operating licenses. 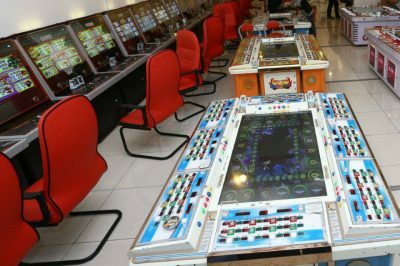 Leonardo Rapadas, the former AG, started legal action against the administration in August 2013, claiming that the approval given by the Department to hundreds of electronic gaming machines is illegal under the provisions of the local gaming laws. Rapadas asked the court to annul the newly-issued licenses and to once and for all ban the practice so that no new operating licenses were issued. Now, AG Camacho has shared that the position of the AG Office on the matter has not changed. This is why the office still maintains the belief that such gambling devices cannot and should not be licensed in Guam.